Private driver Imran Khan Nayak is for quite some time a successful professional in the tourism industry, his last occupation beeing operations manager of the legendary Ranakpur Hill Resort. After his study in Jodhpur he started in the hospitality sector in Udaipur and took to it like a duck to water. 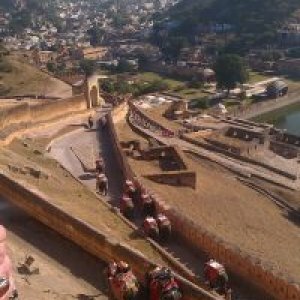 Imran is an experianced driver and already showed the magnificance of the country to a considerable number of tourists, the urban and the traditional rural life and some quiet paths of this most colorful and exciting spot of the earth. 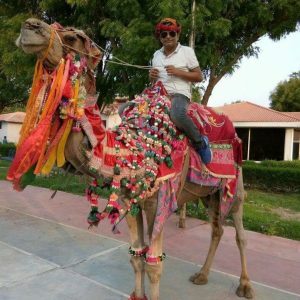 As a genuine son of coutryside Rajasthan with a faible for the cosmopolitan, he is looking forward to your visit and will carry you as safe as in Abraham’s lap through this dreamlike country, with lots of humour and knowledge. Obliged to the principles of the honourable service provider you can fully put your trust in him. Seat of the government of the world’s largest democracy, a thousand years old, age-old and hyper-modern, poverty-stricken and immensely wealthy, with11 millionen citizens, suburbs added 17 millionen people- whoever starts with the trip in Delhi, will have time in the course of the journey to digest his or her impressions while travelling through the most stirring, at the same time appeasing, most colourful country of the world. Welcome. Sightseeing: Old Delhi with the colossal Jami Masjid Mosque (Friday Mosque). 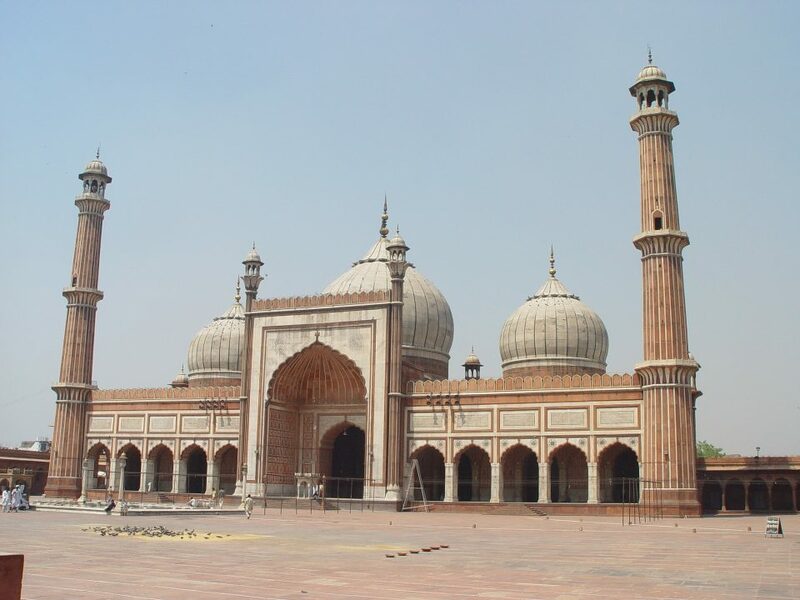 The Jami Masjid is the world’s second largest mosque. In the course of the journey, travellers will see more of the magnificent sacral buildings, mausoleum and secular architecture of the builder, Mughal empereor Shah Jahan. 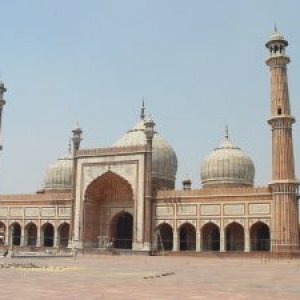 The Jami Masjid Mosque is located in the lively narrow lanes of the bazaar quarter and not too far away from the Red Fort. More highlights: Raj Ghat, a memorial dedicated to Mahatma Gandhi, and Humayun Mausoleum, the grave of Humayun in the middle of a garden. old merchant’s houses which are richly decorated and painted, unique with their many various and very individualistic themes. 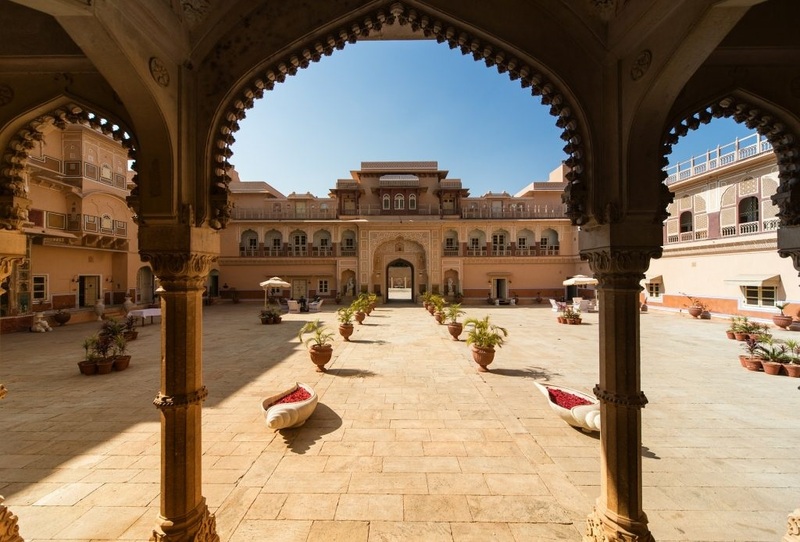 with its very well preserved Rajput Palace Junagarh Fort in the Thar desert in the North of Rajasthan is the next station. Places to see: amongst others, the Bhandasar Jain Temple, the Lakshmi-Nath-Temple with the Shikara tower. Nearby is the world famous rat temple of Deshnok and a state-owned camel farm. 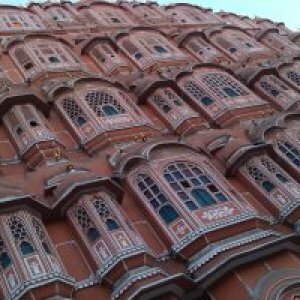 is a very beautiful desert city with roots from the twelfth century, and with its 70 000 citizens more easy to take in than Bikaner. Here, the splendidness and glory of the ancient silk road is not only visible, but almost to feel as a golden glow . 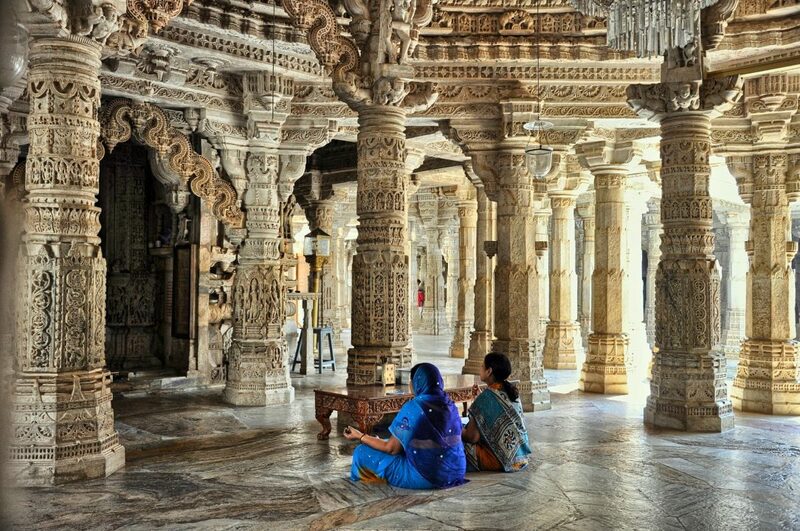 While strolling through the old, narrow alleys you walk along some beautiful Jain temples. 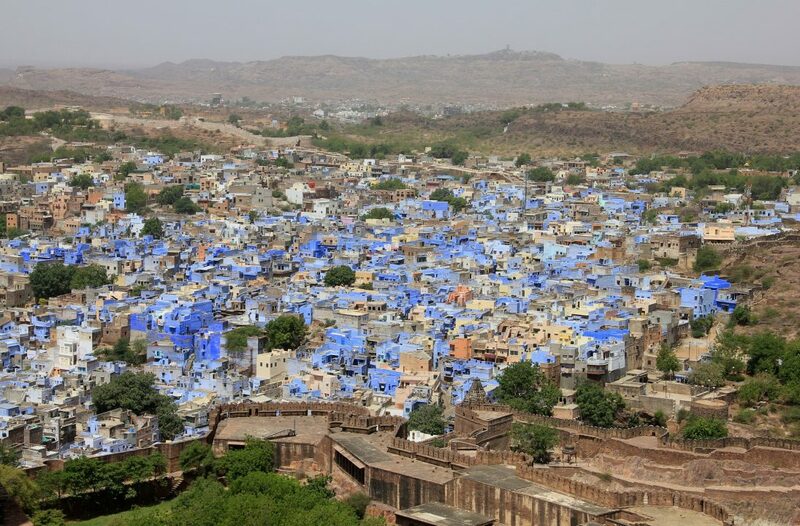 the „Blue City“, university town and once the capitol if the old kingdom of the Rajput dynasty, Marwar. 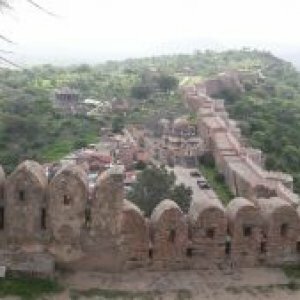 The gigantic fort Meherangarh offers a georgious panoramic view of the blue painted ocean of houses. 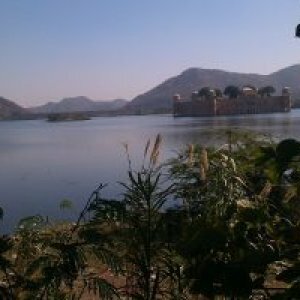 1459 founded by Rao Jodha, the Rajput ruler, it is one of the younger cities of the Rajasthan state and has made a dynamic infrastructural and economic developement in the recent years. 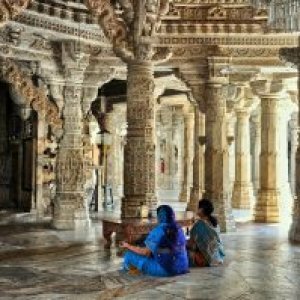 Near Ranakpur, there is the unique Jain temple of Ranakpur with 1044 all different columns. The temple complex of the Jaina with its open and harmonic embeddement in the green hilly landscape is breathtaking, and as a visitor you will be dreamily lost into the countless details of the pillars. The Jain worship Tirthankaras, pure souls, to follow their example. The Jain commuity take social responsibility very seriously and are highly respected for their commitment. 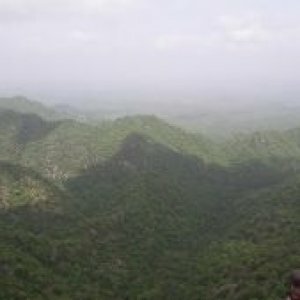 Kumbhalghar Wildlife Sanctuary is famous for its last continuous „dry“ jungle. 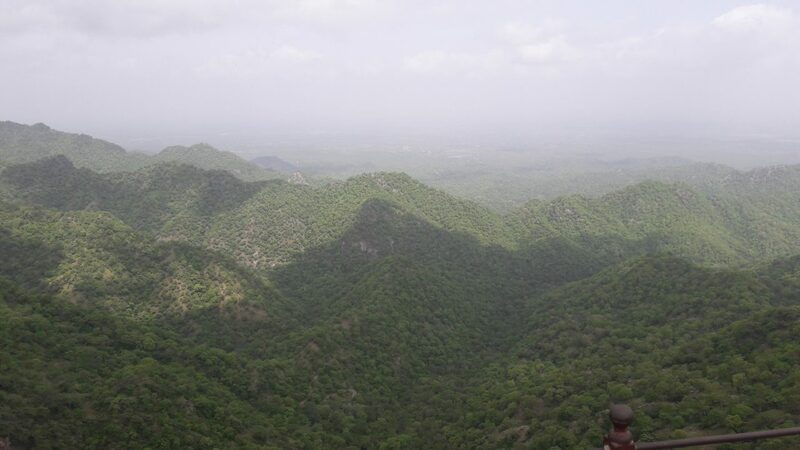 This area offers life space for many animal and hosts the last wolves of Rajasthan, leopards, Sambar- und Chital deer, bears, Hanuman langurs and other animals. 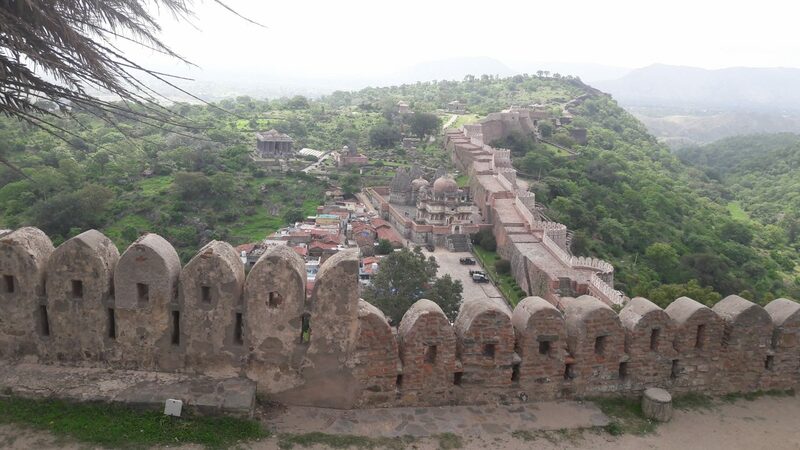 The massive Fort Kumbhalgarh from the fifteenth century offers a wonderful panoramic view of an ensemble of Hindu temple complexes and the green heights of the densely forested Aravelli mountains. Too cold at Lake Geneva? 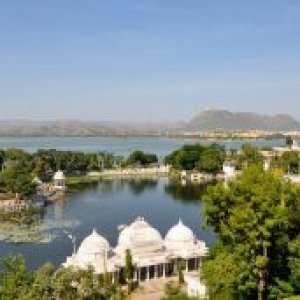 Then visit Udaipur! 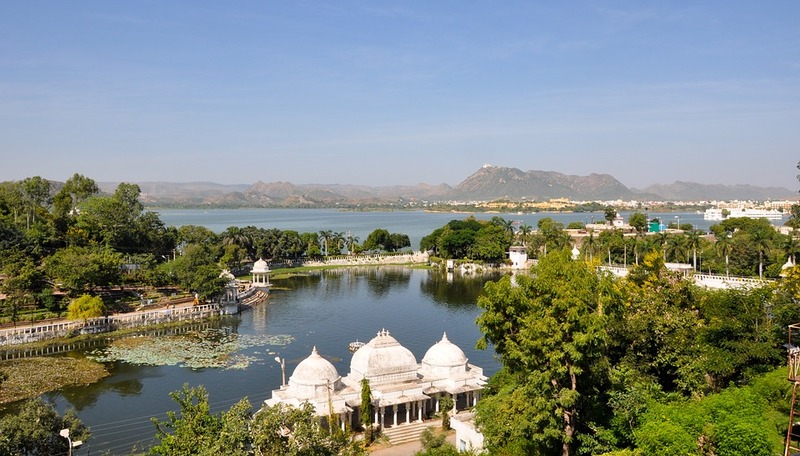 The surrounding mountains might not be as high as the Alps and the lakes more moderate, but here you will have „sophisticated glamour the Indian way“. 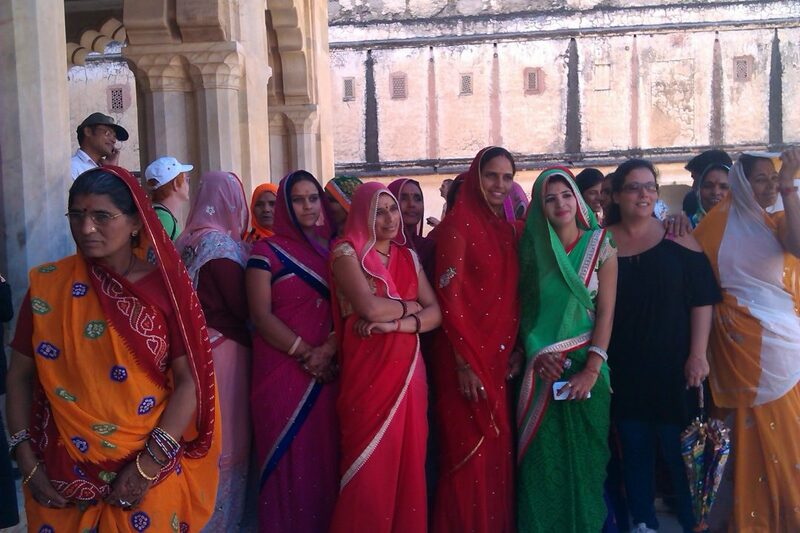 There is a lot to do: visiting the City Palace, make a boat trip on Lake Pichola, and afterwards promenade through the Sahelion Ki Bari, the „Courtyard of the Maidens“. 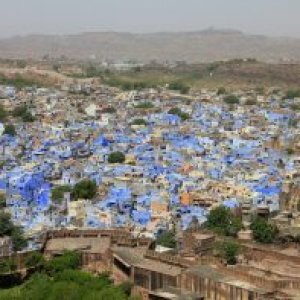 Also worth seeing is the Shilpgram folk museum, an open-air museum of rural Rajasthan houses. 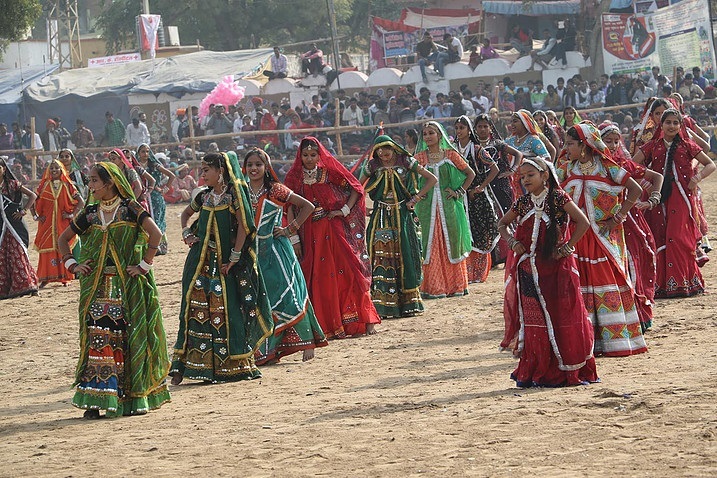 The folk musum offers a wide range of cultural programs and a market. A small town and a place of pilgrimage at the desertshore. 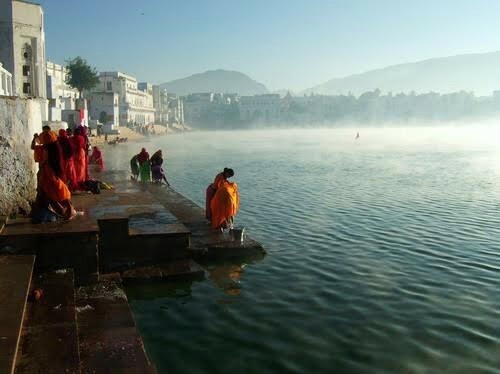 Hindu’s pilger to the holy Pushkar Lake. Jagatpita Brahma Mandir is the most important Brahma temple of very few. 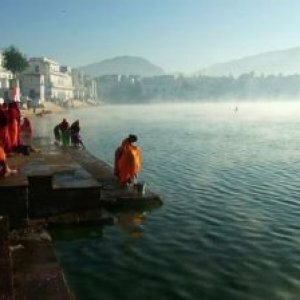 This temple dedicated to the Hindu creator God Brahma was built in the middle ages. 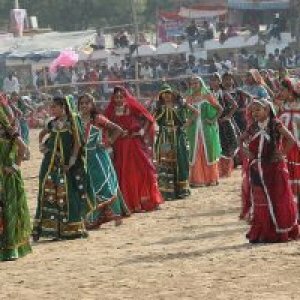 Here, every year in October or November the world famous Puskar fair, with camel fair and thousands of visitors takes place. Also there is a horse trade fair with the beautiful Marwari horses. Haunted by thousands of in- and outlandish visitors. Optional a safari at Ranthambore Tiger Reserve. 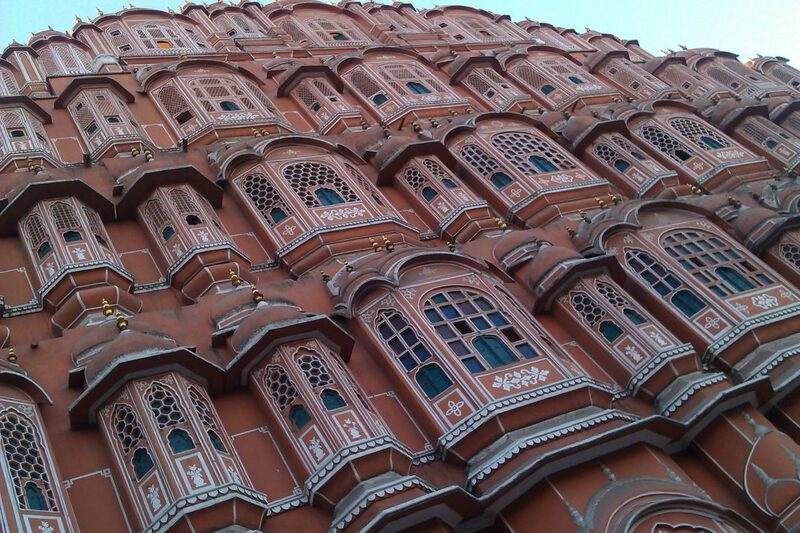 the Pink City, is the capitol and administrative center of Rajasthan. Place to see is, of course, the Palace of the winds, which once offered the opportunity to take a look at street life to the ladies of the harem. The Peacock Gate of the City Palace is amazing, and opposite of the palace is the Jantar Mantar monument located, an outdoor collection of nineteen architectural astronomical instruments. 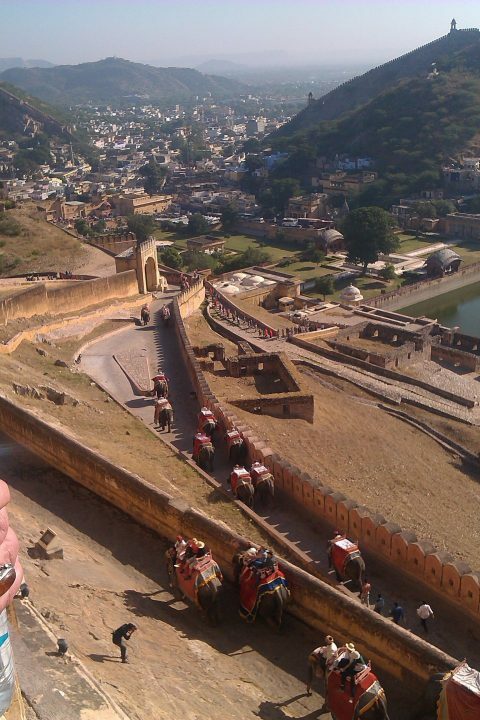 Very touristic but with great scenery is Fort Amber outside the city. 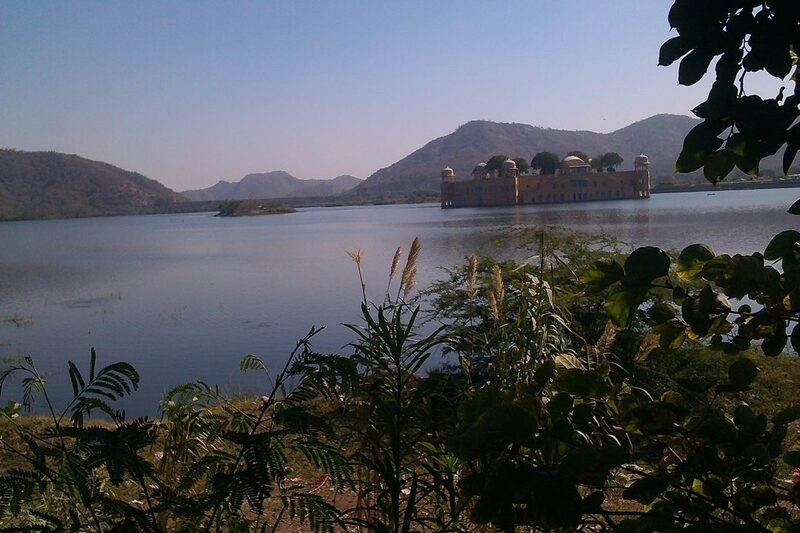 On the way to the fort lies the dreamy Jal Mahal (Water Palace). 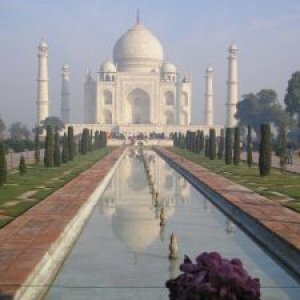 (Taj Mahal!) is an almost-two-million-city in the federal state of Uttar Pradesh. Here, the Mughal empereor Shah Jahan erected the Taj Mahal for his favourite wife Mumtaz Mahal, who had died in 1631 after the birth of their fourteenth child – the Taj Mahal is the greatest token of love ever in history. Created from white marble, with fantastic inlays from gemstones and semi-precious stones, it rises like a floating dream at the riverside of the Yamuna. Nearby and easy to reach from there is Agra Fort with his wide complex of buildings. 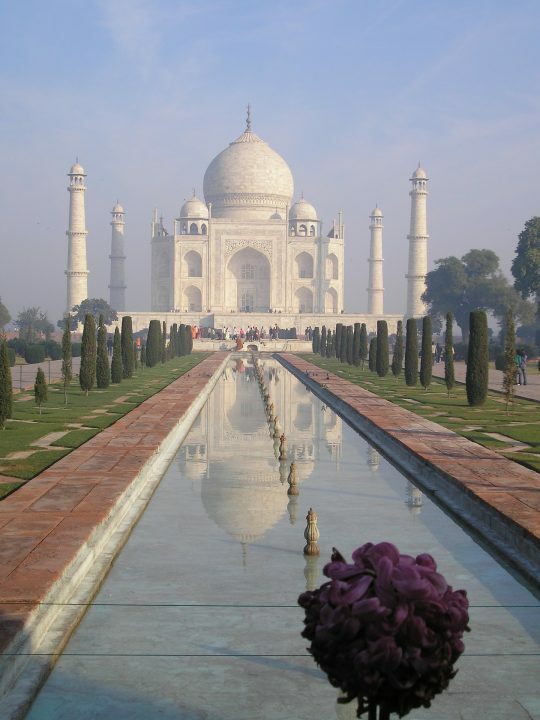 It was built by the Mughal empereor Akbar and extended by his grandson, the builder of the Taj Mahal, Shah Jahan. Tours can also be adjusted to customers with light walking disabilities. and day(s) can be spent creative, with painting, or a wildife photo safari. Just compile your own, personal favourite tour!